The Rose Institute stresses a high level of interaction between student Research Assistants, faculty, and staff. In student’s research in areas relating to state and local government, students and faculty work side by side. Students receive guidance and instruction from professors, fellows, and research associates experienced in the operations of both the public and private sectors. While every student has experience working with faculty members and senior staff on an individual basis, the Rose Institute student staff is overseen by senior student managers. Nick is from Bridgewater, New Jersey. He is majoring in Economics and Government AND Philosophy, Politics and Economics. At the Rose Institute, Nick manages a project on campaign finance, researches fiscal policy, and co-manages the design team. Outside of the Rose, he is involved with Mock Trial and the Lowe Institute. Nick also plays the upright bass, loves to ski, and is a major coffee geek. 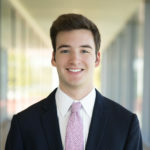 In 2017, Nick spent the summer doing communications and policy research on a congressional campaign in New Jersey, and fall in the Washington DC program. Alec is from Deerfield, Illinois (just think Chicago, it is easier! ), majoring in Government with a focus in Public Policy Analysis. 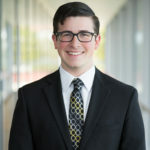 At the Rose, Alec has been the Miller-Rose Initiative Database Project Manager, has also managed Video Voter, and has worked on an independent project related to congressional elections. When he is procrastinating on his work, you will find him re-watching West Wing, cheering on the Cubs, or trying to find the best food around the 5Cs. Last summer, he worked as an intern at Organizing for Action in Chicago. 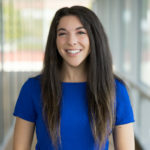 Lindsay Burton, a Southern California native, is a junior currently dual majoring in Government and Middle Eastern Studies at CMC. 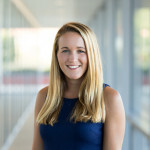 At the Rose Institute, Lindsay focuses on terrorism history and counterterrorism policy in the state of California, while also functioning as the Content Manager. When she’s not working at the Rose, you can find her either in her uniform at ROTC training, or deciding between the Red Eye or the Bowl of Soul at the Motley (depends on the kind of day). Lindsay traveled to Tangier, Morocco on the Critical Language Scholarship State Department program where she took a language pledge and intensively studied Modern Standard Arabic for eight weeks. 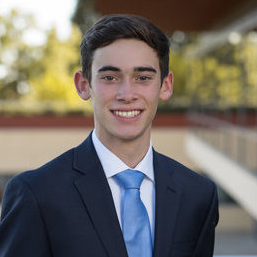 Charlie is from Davis, California, majoring in Philosophy, Politics, and Economics (PPE). Charlie’s interest in politics stems from his belief that government can be a positive force in people’s lives. 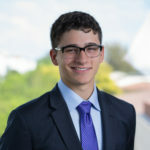 He had the chance to spend last summer interning in the office of State Senator Lois Wolk where he learned a lot about how things actually get done in state politics. Charlie hopes to take his experience with state government and use it to be an effective research assistant at the Rose. In his free time, Charlie enjoys being a CMS cross country and track and field athlete, spending inordinate amounts of time in the dining halls, and doing The New York Times crossword puzzle. Bryn is from Sudbury, Massachusetts planning to major in International Relations with a focus on Spanish and Arabic. She is interested in increasing the accessibility of information about politics and the news. 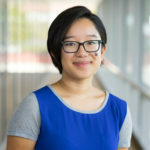 On campus, she is the news editor for the CMC Forum, plans events for the Class of 2019, and is a journalism fellow at the Keck Center for International and Strategic Studies. When she’s not working, you’ll probably find her at the Scripps pool. Bryn spent the fall of 2017 in Spain. Skip is from Wilmette, Illinois, pursuing a degree in Government. Skip spent last summer working for a lobbyist in Chicago, advocating permeable pavement and green infrastructure at the municipal and state levels. At the Rose, Skip heads the Content team and works on the California Voting Rights Act project. In addition to the Rose, Skip works for the Free Food (for Thought) podcast, interviewing Ath speakers and Alumni. He also helps teach music theory to underprivileged youth through Uncommon Good. In his spare time, Skip can be found reading the New York Times, listening to political podcasts, and tossing a frisbee. He was enrolled in the Washington DC program for the fall of 2017. 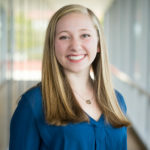 Melia hails from Seattle, Washington, and is majoring in Government and Music at CMC. In addition to managing the Communications team, she has worked on projects relating to education policy and the Video Voter project. In the summer of 2017, Melia interned at the Center for American Progress’s Millennial outreach arm in Washington, D.C. Outside of the Rose, Melia serves as the RA of Phillips Hall and is writing her senior thesis on Civil War songs. Zachary is a Philosophy, Politics, and Economics major from Hinsdale, IL. He is interested in the justice system, voter education, and making politics accessible to everyone. Outside the Rose, Zach is an avid cyclist and photographer and a member of the Model UN team and Free Food (for Thought) podcast. He spent the summer of 2017 working on a political campaign in New Zealand and a ranch in Southern California. Zach spent fall of 2017 in the Washington DC program. Bruno is a Philosophy, Politics, and Economics (PPE) major who hopes to balance out his political knowledge by working at the Rose. 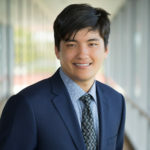 A local boy from Seal Beach, California, Bruno is a former Economic major who was converted to be a Government major by John Pitney’s Government 20 Honors class. 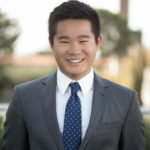 On campus, he is also a consultant for SOURCE Non-profit Consulting and writes for the Claremont Radius. Last Summer, Bruno worked with a local county supervisorial campaign and an autism research institute. In the nanoseconds of free time Bruno is afforded each day, he enjoys lurking Reddit, listening to ’80s Swedish metal, and obsessively checking Politico. His favorite food is homemade Calabrese Pasta (pasta, balsamic onions, preserved tomatoes, pine nuts, and Parmigiano-Reggiano cheese). Bruno was in Argentina in fall of 2017. Rachel is from Los Angeles majoring in Government. She has helped write state laws regarding education policy, developed her own technology, worked closely with various nonprofits, and watched all nine seasons of The Office… three times through! After growing up watching The Colbert Report and The Daily Show — a wise parenting move — she became interested in the role of government. She looks forward to honing her research skills and gaining a comprehensive understanding of state and local government at the Rose. In her free time, you can find her enjoying a good book/movie, hiking, attempting to earn her skydiving license, watching stand-up comedy, or going for a 4th run through of The Office. 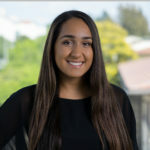 Sophia is from Claremont, California, and is majoring in Philosophy, Politics, and Economics (PPE) with a dual major in economics and a sequence in public policy analysis. At the Rose, Sophia has researched California tribal courts, county election officials, time served in local jails, and campaign finance. 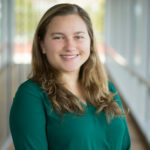 On campus, she serves as a research assistant for the Policy Lab and is involved with the Roosevelt Institute at the 5Cs. Sophia has worked for her state assemblyman and on worked on several campaigns, including the 2018 gubernatorial election for California and a local city council campaign. In her spare time, she loves dancing, listening to podcasts on just about anything, and re-watching Parks and Recreation. Zenaida is from Whittier, California who is pursuing a dual major in Government and Media Studies. 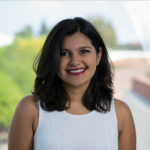 In high school, she was an intern for California State Assembly Majority Leader Ian Calderon and, since August 2015, worked as a student organizer for the Bernie Sanders campaign. At 17-years old, she was elected as the youngest delegate from California to the Democratic National Convention for Bernie Sanders. In her free time, she enjoys reading about art history, watching Game of Thrones, and drinking anything caffeinated at the Motley. Joe is from Toronto, Ontario, Canada. Joe is interested in studying anything related to political science, pursuing a degree in Philosophy, Politics, and Economics (PPE). While in high school, Joe was extremely involved in Model United Nations, traveling with his team internationally. In his free time, Joe is a member of the CMC Model UN team and the coffee club. Otherwise, Joe can be found drinking coffee, reading the news, and making films. Joe hopes to bring his Canadian frame of reference and amiability to the Rose, while also absorbing knowledge about the workings of American state and local government. 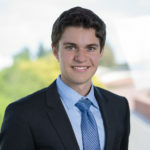 Nick is from Seattle, Washington, and is majoring in History and Government at Claremont McKenna. Nick has worked as a curator for the civic startup ActiveGiver, which is working on a crowd-funding style campaign finance platform. He researched many issues on the local, state, and federal level and had the opportunity to represent the company in front of local and state politicians from across the country at the 2016 National Convention of State Legislators in Chicago. In the summer of 2017, he was awarded CMC’s Appel Fellowship and drove 9,500 miles around the United States writing about American history and politics. On Campus, Nick is also involved with the Claremont Radius – a student-run political newspaper. 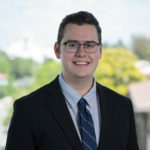 Born and raised in Evanston, Illinois, Zane is a second-year student at Claremont McKenna and is pursuing a degree in Philosophy, Politics, and Economics (PPE). Zane found his passion for politics through his schoolwork and experience in community organizing, including within the mentally-impaired community. Zane hopes to expand his own knowledge of politics and make information more accessible to the public through working with the Rose Institute, specifically in relation to education, institutionalized recidivism, and election reform. 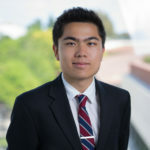 Outside of the Rose Institute, Zane is the Vice President of Recruitment and Communications of the Claremont McKenna Mock Trial Team as well as a member of the Boxing Club. In his free time, Zane enjoys cooking, reading, and drinking coffee. 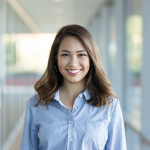 This is Melanie’s second year at Claremont McKenna College, where she is majoring in Philosophy, Politics, and Economics (PPE). Born and raised in South Florida, Melanie found her passion for politics while field organizing with the Florida Democratic Party leading up to the 2016 election. At the Rose, Melanie enjoys researching a broad range of topics from campaign finance to standardized testing reform. On campus, Melanie keeps busy with the Free Food (for Thought) podcast, student government, and the new CMC Roosevelt Institute chapter. Still, she always makes time to keep up with her personal podcast queue and bake in Janie’s Kitchen. Sevion is from Toronto, Ontario, Canada. Sevion is currently a Government major but is interested in political science and is hoping to major in PPE (Philosophy, Politics, Economics). In high school, Sevion was Head Steward, Varsity football Captain, co-head of the Black History Club and Founder of the Mock Trial Club. Sevion also volunteered through the African Canadian Christian Network (ACCN) providing interview tips to students who aspire to attend private schools in Ontario. At CMC, Sevion plays Inside Linebacker for the CMS football team, is a member of Mock Trial, CMS Christian Athletes, Black Students Association and ASCMC. This past summer Sevion ran recruitment for a startup company – Hubdoc – based in Toronto. Outside of school and the Rose, Sevion loves to spend time with his family, read and meet new people. Will is a sophomore from Cleveland, Ohio majoring in Government. He spent this past summer in Washington, DC as a Lloyd Meeds Policy Fellow and Government Affairs Intern at K&L Gates, LLP. His Rose experience includes work on SB-562, Proposition 64, and managing the Video Voter series in 2018. 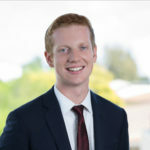 Outside the Rose, Will is an analyst for the Claremont Consulting Group, the Content Manager of the Free Food (for Thought) podcast, and an executive board member of the Claremont Government Society. 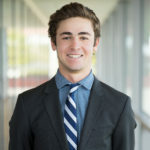 Jake is a freshman at Claremont McKenna College from Albuquerque, New Mexico dual majoring in Government and International Relations. 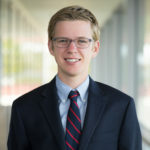 Jake discovered his interest in politics from his involvement in high school Speech & Debate but tailored his interest to local politics through his internship on an Albuquerque mayoral campaign. He is especially interested in criminal justice and education reform. Jake is also involved in CMC’s Model UN and debate teams. When he’s not working at the Rose, Jake is napping, listening to Serial, or binge-watching Survivor. Johnson is a freshman from Portland, Oregon and is looking to major in Philosophy, Politics, and Economics (PPE). 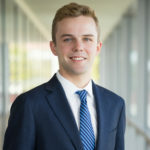 In high school, Johnson served as the Student Body President and worked as a Victims Advocate at the Washington County District Attorney’s Office, inspiring his interest in government. Outside of the Rose, Johnson is involved in ASCMC and the CMC Mock Trial team. He also works as a server at the Athenaeum. In his free time, you can find Johnson shooting hoops at Roberts Pavilion, enjoying the cookies at Collins, and playing random pop songs on all the pianos on campus. Hailing from Claremont, California, Naseem Nazari traveled long and far to work at the Rose Institute. Naseem’s interest in state and local government piqued as she listened to NPR on long car rides with her sister, and realized the power that politics/ politicians bestow in enacting lasting and purposeful change. 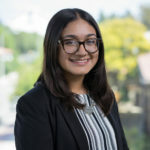 Serving on the board of a local non-profit dedicated to education in high school, she is especially passionate about educational equality and is hoping to do research pertaining to this field while working at the Rose. As of now, her major is undeclared. However, she is deeply interested in Middle East Studies, Government, and Public Policy. During her free time, you can catch Naseem working out at Roberts Pavilion, eating sour candy, or playing with her incredibly adorable puppy, Joon. 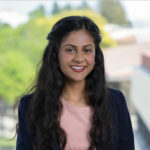 Nandeeni Patel is from Murrieta, California and is planning on dual majoring in Government and History. Throughout high school, all of her experiences have pulled her towards a path founded in policy reform and public service. 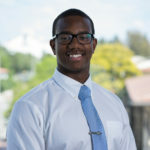 Specifically, having been the State President of the California Association of Student Councils and President of the Murrieta Youth Advisory Committee, Nandeeni found an interest in research-based advocacy catered to state and local education policy. She is looking forward to learning from the Rose Institute and getting a deeper understanding of the works of federalism. In her free time, you can catch her drinking V8 Spicy Hot, watching reality TV, or seriously struggling in the back of the only studio at Hot Yoga Claremont.